One of the most luxurious gift is a gift card for pampering treatment! Order easily online, delivered to your address or straight to the recipient’s address! We deliver gift cards by post or quickly in PDF-format by email. Gift cards by email, we deliver normally during the same day, or at latest in 24 hours. Gift cards can be bought from our salons, and you will be able to have the gift card right away! All our gift cards can be used in all our salons. You can create two types of gift cards: Open gift card and Service gift card. You can create and pay multiple gift cards at once. Payer's delivery info etc will be filled after the creation of the gift card. Deep lines and wrinkles, pigmentation changes as well as deep acne scars. Immediately after the treatment the skin will have redness and it will peel off strongly for the next two weeks. Mesotherapy can be combined with many other treatments such as kemialliseen kuorintaan. Chemical peeling is an effective and safe aesthetic treatment which tones up, smoothens and brings a shine to the surface of the skin as well as improves the quality of skin. During the chemical peeling process, the skin is given a controlled skin damage. When it heals the top layer of the skin renews. After the peeling the skin is even smoother than before and no surface line or blemish will be seen. Mesotherapy is one of the most effective anti-age treatment that improves the quality of skin comprehensively. It tones up, smoothens the wrinkles and tones the skin. Mesotherapy does not influence face appearance or facial features like filler treatments. Its functions is to improve the quality of skin. Mesotherapy is one of the most effective anti-age treatment that improves the quality of skin comprehensively. It tones up, smoothens the wrinkles and tones the skin. Mesotherapy does not influence face appearance or facial features like filler treatments. Its function is to improve the quality of skin. The Mesotherapy solution contains: hyaluronic acid, vitamins and amino acids. The active substances stimulate the renewal of skin cells and the treatment improves the quality of skin by adding collagen and elastin production. The Mesotherapy treatments are also perfect for strengthening own natural hair, to restore hair growth and improve the condition of the scalp. Mesotherapy can be combined with many other treatments such as for example kemialliseen kuorintaan. Chemical peeling is an effective and safe aesthetic treatment which tones up, smoothens and brings a shine to the surface of the skin as well as improves the quality of skin. During the chemical peeling process, the skin is given a controlled skin damage. When it heals the top layer of the skin renews. After the peeling, the skin is even smoother than before and no surface line or blemish will be seen. Juvéderm Volite moisturizes and polishes the skin making it softer and more flexible for up to 9 months. The difference between Volite compared to traditional mesotherapy, biorevitalization or skin booster treatments is that the long lasting end result is achieved in only one treatment time. The treatment also improves the color of skin, treats couperosa and evens out wrinkles. Juvèderm Volite is injected in the skin with a very thin needle (multi-injection treatment) and it contains anesthetic (lidocaine). Princess Rich Princess Rich is perfect for deep moisturizing the skin and filling the superficial wrinkles.The effecting time is approx.2-3 months. The product is injected to the skin with a very thin needle (multi-injection treatment) or it can also be done with a micro needling method in which case a thousand small needle channels are done with the help of the device intended for it. The micro needling method starts a fixing process in the skin. As a result the collagen production activates. Princess Rich is perfect for deep moisturizing the skin and filling the superficial wrinkles.The effecting time is approx.2-3 months. The product is injected to the skin with a very thin needle (multi-injection treatment) or it can also be done with a micro needling method in which case a thousand small needle channels are done with the help of the device intended for it. The micro needling method starts a fixing process in the skin. As a result the collagen production activates. Meso threading has been used in Asia as a anti-age treatment for a decade. The threads can be used in all areas of the body and it suits almost all problems in the body. The threads are prepared from poly diacanone which breaks down in the skin by itself. If you wish to have more threads (12€/pcs), contact the store to book necessary additional time. Meso threading has been used in Asia as a anti-age treatment for a decade. The threads can be used in all areas of the body and it suits almost all problems in the body. The threads are prepared from poly diacanone which breaks down in the skin by itself. If you wish to have more threads (12€/pcs), contact the store to book additional time. Screw-thread 25€ / a piece. Juvéderm Volbella XC –The Juvèderm Volbella XC contains anaesthetic (lidocaine) which is perfect specially for shaping lips as well as the mouth and around the eye area to fade out the wrinkles. Thanks to the Vycross technology, the risk of swelling is smaller and the lips feel more natural after the treatment. Duration: up to 12 months. Juvéderm Volift XC – The Juvèderm Volift XC contains anaesthetic which is perfect for treating e.g. nasolabial- and marionette wrinkles. The product can also be used for filling the lips. Duration: up to 18 months. Juvéderm Voluma XC – The Juvèderm Voluma XC which contains anaesthetic is designed to bring back the volume in e.g. the cheek area. The product can also be used to shape the nose. Duration: up to 24 months. Princess Filler is perfect for the removal of moderate and mid deep wrinkles ( Sibelius wrinkles, nasal labials, lips and lip area, marionette wrinkles). Duration 6-9 months. Princess Volume is perfect for filling the mid deep and deep wrinkles as well as designing the facial features. ( e.g. cheeks, nasal labials, lips ,marionette wrinkles, chin). Duration 8-12 months. Teosyal RHA filler series RHA 3 is perfect for fading out the mid deep and deep wrinkles as well as designing the lips. The RHA supports the movement of the skin and smoothes the wrinkles gently and immediately while maintaining the natural expression of the face. Teosyal RHA filler series RHA 3 is perfect for fading out the mid deep and deep wrinkles as well as designing the lips. The RHA supports the movement of the skin and smoothes the wrinkles gently and immediately while maintaining the natural expression of the face..
Dermapen microneedling treatment renews the skin making the surface of the skin more even in every way! The treatment is especially good for scars and wrinkles, impurities, pores and pigment changes! The treatment is based on skin’s own natural renewal process. The skin starts to renew itself and produce new collagen. Because of the microneedling, the skin is able to absorb vitamins and effective ingredients that moisturize and renew the skin, which optimize the best treatment results. Each treatment will be payed after the treatment. In order to have the series treatment discount, customer commits to obey our series treatment agreement, which means that the treatments must be done by the same skin therapist in the same salon and the treatments must be done within 6 weeks apart. If the agreement is not followed, the price agreement will be terminated and the customer will be invoiced afterwards on the basis of the normal treatment price (€ 185). If customer wants to continue the series treatment after 3 series treatments to 5, the treatment price will be leveled out after the fourth treatment to match the “Dermapen series for 5 treatments” price. During the treatment, we shall comprehensively go through the face, neck and decollete areas. Read more about our micro needling treatment on the surface of the skin. The treatment is done comprehensively on the whole facial area. Read more about micro needling on the surface of the skin. The treatment consists of treating 1-2 problem areas on the face, for example the wrinkles on the forehead and eye contour area. This treatment is done to the skin around the eye area. Our relaxing massages include Hot Stones massage and Indian head massage. Both massages include classic massage, which focuses on skin, fatty tissue and muscles. Our relaxing massages are done by trained and certifies beauty therapists. Relaxing hot stone massage based on the muscles. The Indian head massage stimulates the metabolism. The main focus is the head but we also go through the back-, arms-, neck-, shoulders-, head-, face- as well the decollete area. Sugar has been used for hair removal for ages, and it is gentle, hygienic, effective and safe way to remove unwanted hairs from the face or body. All our professional are well trained experts and we use the best Alexandria Professionals -products for sugaring treatments. Sugaring makes your skin soft, radiant and silky smooth! Sugaring the legs and thighs. Sugaring the bikini area (only for women). Brazilian sugaring only for women. The following times regularly after Brazilian sugaring 1st time (only for women). Lash lift & permanent tinting has been in Finland a very favored monthly routine treatment with which you can achieve a beautiful and neat look in a very short and effortless time. In addition to permanent tinting, a new favored treatment has been the lash lift with which the customers own natural lashes can be brought out beautifully! At the Blue Lagoon stores, we use the Yumi Lashes- lash lift on your lashes. The treatment also contains the permanent tinting. Eyelash tinting. The treatment is done so that the customer chooses the shade: black, blue-black or brown The color on the lash last from 2-6 weeks depending on the “strain” of the lashes. We recommend that you come to this treatment without mascara if possible, so that you do not spend any of the treatment time cleaning your lashes. Especially waterproof mascara is good to avoid on the day of the tinting. Also take note that a possible few minutes been late from your starting time is time away from your own treatment time. By been even 10 min late, it has a big influence on this treatment because the time is already very tight so be sure to be on time! Eyebrow tinting includes shaping by plucking. Eyebrow tinting includes shaping done with the sugaring method. This eyelash and eyebrow tinting includes shaping done by plucking. This eyelash and eyebrow tinting includes shaping with the sugaring method. Shaping the brows by plucking with tweezers. Shaping the brows with the sugaring method. Lash lifting is individually designed for each customer, taking into account their own lashes. The strength of Yumi Lashes is its ability to get your own natural lashes to look long and dashing without lash extension. The lash lifting is a good option for those who would like to highlight their eyes but for some reason would not like to take lash extensions. Please note that after lash extension removal, you will need to wait for 8 weeks (1 growing season) before you are able to take the lash lift. Get familiar with kestotaivutuspalveluumme before booking your time! Our makeup artists have specialized in different makeups and they have strong visual and aesthetic ability to design beautiful make-ups for all needs! Let our makeup artist know about your wishes, and have her done the perfect makeup for you! Celebrations are a big part of life and preparation for these special occasions set the tone as well as beautiful memories! The evening make up for events does not automatically mean a thick layer of make up and flagrant tones. It is extremely important to go with the customers wishes as well as analyze their personality and style. Two different individuals evening make up may end up to be totally different from each other. The evening make up can be done with a sophistication and moderation or alternatively we can also make a very showy evening make up with a shading that brings out the facial features by using glowing highlights, making the lips look luscious and adding detachable lash extensions on the eyes. We do the make up according to your liking! The wedding day is a long planned dream come true, so why not make yourself feel as beautiful as possible on this important day and trust our make up artists to make you look dazzling on your special day! The end result shall be guaranteed by our test make up which is included in the wedding make up service. This way we can insure that we do the make up according to your desire! The often, more common wishes from this wedding make up is that it is long lasting, photogenic and classically stylish but most of all, it must be beautiful. Nowadays, even more customers want a more dashing wedding make up look, which may mean that the preparation might require spray tan, eyebrow tinting or lash extensions. We can also use the Sweed detachable lashes,that are sold in our stores. They give a very beautiful look and last the for the whole wedding day. By spray tanning you achieve a beautifully even, quick and safe tan. You can also get a intensive tan if so wished. We use luxurious self-tanning products from Vita Liberata, which have achieved a large popularity. They can be used for professional use and home care. All our wellness treatments are done by Valvira’s certified wellness professionals. Our wellness services include sports massage, osteopathic massage, mobilization, taping and lymph massage. Reduces swelling, improves fluid circulation. Improves joint or muscular range of movement. Manual treatment form. Going-over the body`s structural and functional disorder and pain. Shadow-brows are a new technique to make beautiful brow pigmentation that last for 2-3 years. Shadow-brows are done mechanically and as the result you shall achieve brows that are enhanced is such way that the head of the brows are faded. 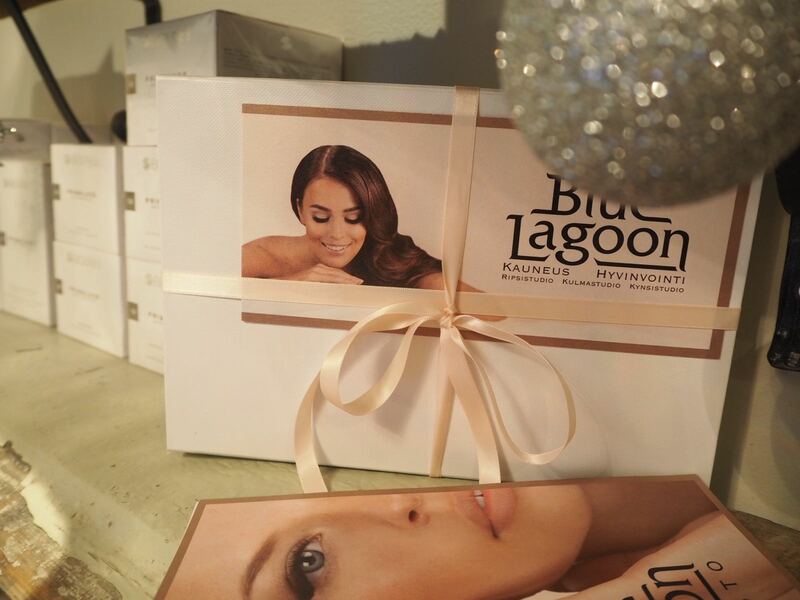 The consultation price 40€ will be compensated from the price of the treatment when you take the Shadow-brows at Blue Lagoon within 6 months from the consultation. At the consultation, we will be going through the steps of the treatment, things you have in mind, the release of liability form and possible obstacles of the treatment as well as the model of the brows with the professionals technique which is individually based on the customers facial structure. You can only book the consultation however if you like to book the time right away for the actual treatment, you them must remember to book the consultation time at the latest 2 days before the implementation of the actual treatment. Why? We talk about “semi permanent” -work, so it is extremely important that the technique we use matches with the customers wishes. If you come to second thoughts, there will be time to cancel the times of the treatment before our 24h billing policy. Shadow-brows are a new technique to make beautiful brow pigmentation that last for 2-3 years. It is done with a pigmentation machine. The pigmentation 1st time price includes consultation, the 1st treatment, 1 Touch Up and the after treatment care cream. Note! Consultation before treatment is obligatory. Get familiar with the information you can find on our website. Shadow-kulmakarvoista. Showers, events and pampering for groups! Our salons enable lovely and memorable experiences for different needs. Our Kamppi salon is located in the center of Helsinki, and has almost 300 squares big premises for bigger groups. We will gladly help you to design your special day whether it is a bridal shower or occasion for employees. Please don’t hesitate to contact us info@bluelagoon.fi! The lash extensions are removed carefully with a remover, where the substance softens the glue and this way we get the extension to “dissolve” off from own naturals lashes. The duration varies depending on the condition of the lash extensions as well as the amount of lashes. Typically the removal of lash extensions takes 15-45 min which is determined by the time used. (20-40 €). The lash test is free of charge. We recommend this to everyone whom feel like there is a possibility that they can be allergic or overly sensitive to the lash glue. During this we intend to test how the patches, glue and fiber are suitable to the customers eyes. In this test we put few lashes on both eyes, on the outer- and inner corner as well as in the middle. In this circumstance if itch or irritation occurs, the reaction is not on the whole eye area. You can only feel it a tiny bit. the The test should be carried out at the latest 3 days before putting the actual lashes, so that the possible symptoms have time to manifest. Passing the test does not give the certainty though that you would not have allergies but usually the bad over sensitive reactions react to this test. If you want to have strengthening for natural nails with color, we charge extra 15 € for the color. Strengthening for natural nails with Polygel, Gel or Acryl. This method is for you, if you want to strengthen your own natural nails. Strengthening for natural nails with polygel, acrylic or gel (without additional length). The protection is a good choice when you would like to strengthen your own natural nails without additional length. During the treatment, we are able to “fix” your individual nails to be longer à 2€. You are able to maintain the strengthening for natural nails with polygel, acrylic or gel. This way you can keep your nails looking clean and strong for a longer time. By maintaining your nails regularly, at the same time you can also grow your own natural nails since the protection used for the surface prevents your nails from breaking or peeling. The IBX- intensive care can be used as a base for all the nail extension techniques as well as for Shellac- gel polish. IBX-manicures is also good when you want to strengthen, fix or grow your own natural nails without nail extensions. The treatment has shown good result also in long term nail trauma care. Providing that, you have acrylate allergy we are able to do the manicure without the IBX- intensive care. Our certified beauticians have broad knowledge about skin and skin care. They are also certified Dermalogica-therapists and have also other educations, like Medik8 and Dermapen certifies. All our facials are customized for your skin. We have “regular” moisturizing, calming and clarifying facials, but also effective Dermapen microneedling for acne, scar, hyperpigmentation and anti age treatments. With our Medik8 chemical peels, we can also provide safe but effective facials for different needs. The nails can be made to look very natural or extremely dashing as well as anything in between. The material used is Poly gel, gel ( hard gel) or acrylic ( liquid+powder), this choice is done according to what the customer wishes and according to the type of nails the customer has. The nail extensions can be shaped into very short or stiletto height as well as anything in between. If you bite your nails, this is the best solution for you. The extensions cover the ”damages” or ”problems” in your own nail and you will be less prone to bite your nails. This relaxing package treatment includes Dermalogica’s 30 minute facial, 35 minutes of relaxing Indian head massage and complete 60 minute pedicure! Urban Well-being – Inclusive treatment package with great results! This effective treatment package includes Dermalogica’s 30 minute facial, eyelash and eyebrow tinting and eyebrow shaping, long lasting Shellac-polish for finger nails and 60 minute pedicure. This treatment includes 60 minute Dermalogica Facial with one optional extra treatment from the extra treatment list, 60 minute Pedicure with massage and polished nails and mini manicure with foiling and polishing. Treatment time 2,5 hours. Treatment includes warm and relaxing 45 minute Hot Stones massage, 60 minute Dermalogica facial with one optional extra treatment from our extra treatment list plus softening foot peeling and massage for your feet. Treatment time 2,5 hours. With our pedicures we can pamper your feet and legs and also take care of different problems like dryness of the feet and hard skin in the soles and difficult nails. Regular pedicures will ease discomfort, prevent feet problems and keep your feet beautiful and comfortable. Shellac™ – French manicure for toe nails is a wonderful treatment for example if you have a vacation coming up, wedding or other special occasions! Shellac™ – one color polish lasts in the toe for several weeks! With the help of Shellac, the surface of the nails get a beautiful glow and are even. We have an extremely broad variety of colors and you can choose the color of your liking. The gel polish on toe nails is excellent as an ongoing treatment to make the nails beautiful, for special occasions or vacations to come! Combine your pedicure with the beautiful lasting Shellac-gel polish! Shellac makes the surface of the nails shinier than a normal polish would do, leaving a gel-like perfect surface on the nails. We recommend this to everyone that would like to keep their toe nails neat and beautiful for a long time! With the Pedicure, Shellac -gel polish +30€ ( on its own Shellac on toe nails is 50€). Please notice that lash consultation is a must, before you book your appointment for megavolume lashes! We do megavolume lash consultations for free, and the consultation takes 15 minutes. We recommend you have at least 24 hours between the lash consultation and the megavolume appointment, so you still have time to cancel your appointment, if megavolume lashes can not be done for your lashes. In our booking terms, it is said, that if you miss your appointment or cancel your appointment less than 24 hours before the scheduled treatment, we charge you 75% of the service price. For megavolume lashes, we use unique technique, and our lash-technician must first analyze if megavolume lashes can be done for your lashes. Because of the unique technique and extreme volume, it takes 4-5 hours to make new megavolume lashes. There is a new method used for volume lashes. This method is done so that many fibers that are 0,07 mm thick are made into a “fan shape” which is then glued into your own lash. This does not strain your own lashes. The volume lash fibers are even three times thinner than classical lash fibers. The volume lashes feel very light and with these extensions, the customer gets the kind of natural lashes they wish for or dashing thick- depending on the customers wish and how many extensions are attached. The time for new lashes depends on your own natural lashes if they are naturally thick. If you wish for a more dashing look we recommend that you book 3 hours. This way we get your lashes full and the desired end result. In this volume lash method we use 0,07 mm thick extensions, that are made into “fans” which are then attached individually to 1 of your own natural lashes. The volume lashes feel very light and with this technique we can also achieve very natural or dashing looking lashes, depending on the kind of fibers used to make the “fans”. The treatment time usually depends on the thickness of own natural lashes as well as the desired result. The maintenance of volume lashes is 1,5 h-2 h (recommended time). The volume lash is a new method used to do volume lashes. We use 0,07 mm thick extensions to make a “fan shape” which is then glued into your own natural lash. (This way the lashes will spread evenly on your own lashes) The volume lashes feel very light and you can achieve a extremely- natural or dashing look, depending on how many extensions are used to make the fan. Depending on the amount of extensions we put, if over 70% has dropped, we can charge more for the maintenance. We also do maintenance on lashes that have been originally done in other stores. For these, on volume lashes we recommend a 2 h maintenance and 1,5 h maintenance on classical lashes. We are also able to maintain the lashes from classical to volume without extra charge. The maintenance of volume lashes is 1 h 15 min- 1,5 h-2 h (recommended time on normal maintenance is 1,5 h-2 h). The volume lash is a new method used to do volume lashes. We use 0,07 mm thick extensions to make a “fan shape” which is then glued into your own natural lash. (This way the lashes will spread evenly on your own lashes) The volume lashes feel very light and you can achieve a extremely- natural or dashing look, depending on how many extensions are used to make the fan. The maintenance of volume lashes is 1 h-1 h 15 min (recommended time on normal maintenance is 1,5 h- 2 h). The volume lash is a new method used to do volume lashes. We use 0,07 mm thick extensions to make a “fan shape” which is then glued into your own natural lash. (This way the lashes will spread evenly on your own lashes) The volume lashes feel very light and you can achieve a extremely- natural or dashing look, depending on how many extensions are used to make the fan. The maintenance of volume lashes max. 60 min (recommended time on normal maintenance is 1,5 h- 2 h). Book this time only when you know that the 1 hour quick maintenance is enough time for you. The volume lash is a new method used to do volume lashes. We use 0,07 mm thick extensions to make a “fan shape” which is then glued into your own natural lash. (This way the lashes will spread evenly on your own lashes) The volume lashes feel very light and you can achieve a extremely- natural or dashing look, depending on how many extensions are used to make the fan. Full extensions, where we attach one lash fiber on one of your own natural lash. The new lash extensions take 1,5-2 hours depending on the fullness of your own lashes. Lash maintenance for this service is 1 h 15 min-1,5 h.
Depending on the amount of extensions attached, if over 70% of the lashes have dropped we shall charge more for the maintenance. We also maintain lashes that have been originally done at other stores. For these we recommend a 2 h maintenance if you have volume lashes and 1,5 h for classical lashes. The lashes can also be maintained from classical to volumes without extra charge. Lash maintenance for this service is max. 60 min. Book only when you are certain of the fact that this 1 hour maintenance is enough time for you. The lash consultation is obligatory before fixing mega volumes! The lash technician needs to assess the customer’s own natural lashes before fixing the volume to see if it is even possible for the customer to have them.For a booked and unused treatment time, we charge 75% from the price of the service, if the cancellation is not done 24 h before the beginning of the appointment time. To avoid cancellation situations, the free of charge consultation is obligatory before fixing the mega volumes. If you wish to book a time for the consultation as well as the new mega volumes, remember to leave at least 24 h between the consultation and mega volumes. This way if you happen to change your mind, you avoid the 24 h cancellation billing which is 75% from the price of the service. We recommend that you first get familiar with megavolyymiripsiin! At the Blue Lagoon stores we implement nail extensions with long professional skills! We can use Poly gel, acrylic and gel as the material. In addition to doing nail extensions, we also do strengthening for natural nails with poly gel, acrylic and gel, Shellac-gel polish and different kinds of manicures! We have a quality guarantee for our nail extensions and Shellac-gel polish. This hand treatment or manicure is perfect if you like to get your skin and nails treated. You are able to enjoy this relaxing care experience at its fullest, prevent problems from arising and getting worse, as well as expressing yourself through a variety of different color nail polishes or decorations. We recommend the manicure to those who have own natural nails in good condition to begin with or to those who are in need of a light and short-timed solution. The Shellac™ -gel polish is perfect for those who want a long lasting polish! Shellac can be maintained so it works as a long term solution on keeping nails neat. During the treatment we also treat the cuticles and clean the nails. Shellac is very suitable to be taken one-off for a special occasion because it does not do any harm to your own nails. During the treatment, your own nails are not necessarily in need of any filing. Shellac™ -gel polish is perfect to those who want a long lasting polish! Shellac can be maintained so it works as a long term solution on keeping nails neat. During the treatment we also treat the cuticles and clean the nails. The Shellac -french manicure is very suitable for special occasions and weddings! The french manicure is much favored because it is timeless, neat and stylish! Shellac™ -gel polish is perfect when you want a long lasting polish! Shellac can be maintained so it works as a long term solution on keeping nails neat. During the treatment we also treat the cuticles and clean the nails. Shellac is very suitable to be taken one-off for a special occasion because it does not do any harm to your own nails. During the treatment, your own nails are not necessarily in need of any filing. Shellac™ -gel polish can be removed by our professionals with the product specifically meant for removing gel polish. We do however sell Shellac -gel polish removal kits at our stores. This way you are able to remove them at home by yourself. They come with good instructions. Nail extensions by using acrylic or gel. The additional length is done with a mold. It takes 1,5 hours to do, French 2 hours, decorative nails 2-2,5 hours. Please contact the store if you are unsure of the required treatment time. New nail extensions done with the acrylic- or gel method. (we use a mold to do the extension). Natural. The maintenance of acrylic- or gel nails. The price is determined according to what decorations are put on the nails. The acrylic- or gel maintenance of stiletto shaped nails. The price is determined according to the decorations put on the nails. Starting from 65 euros (natural). The maintenance of acrylic- or gel nails. The decorative nails require more than 1,5 hours. Please contact the store if you are unsure of the required treatment time. Nb! Starting from 50€ depending on what you want on your nails. The price is starting from 50€, depending on what is done during the maintenance. 1 hours nail maintenance ( book this time only when you know for sure that your maintenance time is 1 hour)Natural 50€ French 56€. The fixing/repairing of 1 nail. If you would like to include 1 own choice of color in the Natural- maintenance or Natural- new nails. The additional price of this service will be +15€. When you would like to include 2 colors of own choice in your nail maintenance. The additional price of this service will be +20€. The removal of Polygel-, acrylic- or gel nails. This treatment includes the IBX-intensive care which strengthens the nails. IBX-French manicure includes the handling of nails, IBX-intensive care method together with the French manicure. IBX system is a two-piece treatment method, which works as a preventive to protect the natural nails as well as fix already formed problems and damages. With this method, we are able to form a protective layer as part of the natural nail, which then enables strong and healthy nails.The IBX- intensive care can be used as a base for all the nail extension techniques as well as for Shellac- gel polish. IBX-manicures is also good when you want to strengthen, fix or grow your own natural nails without nail extensions. The treatment has shown good result also in long term nail trauma care. Providing that, you have acrylate allergy we are able to do the manicure without the IBX- intensive care. CND Citrus Spamanicure is a perfect choice for those who are in need of a more caring treatment, comprehensive and more indulgence manicure In addition to nail care this manicure also includes hand bathing in a smoothing and caring citrus milk and using the fruit peeling for the hands to make them clear and soft. During the manicure, you shall be treated with a enjoyable hand massage that relaxes the small muscles in the hand as well as a mask that moisturizes the skin. In addition, the treatment includes the treating of nail cuticles and polishing of nails. You will be leaving the store feeling healthy & refresh and with beautiful hands. CND Citrus Spamanicure with the French manicure is a perfect choice when you are in need of a more comprehensive and indulgence manicure. for those who are in need of a more caring treatment, comprehensive and more indulgence manicure. As a result, you shall get very stylishly taken care of hands and nails! In addition to nail care this service also includes hand bathing in a smoothing and caring citrus milk and using the fruit peeling for the hands to make them clear and soft. During the Spamanicure, you shall be treated with a enjoyable hand massage that relaxes the small muscles in the hand as well as a mask that moisturizes the skin. In addition, the treatment includes the treating of nails and nail cuticles as well as the French manicure. You will be leaving the store feeling healthy & refresh and with beautiful hands. This treatment focuses specifically on treating hands and nails. As a whole, the manicure therapy is a very indulgent experience for the hands and is perfect say as a gift for someone. In this treatment, the hands are bathed and massaged by using “ball therapy”. The treatment also includes hand peeling and a treating mask together with a massage that relaxes the hands. During the manicure therapy treatment, we use the Rescue Rxx- keratin intensive care to treat the nails. In addition to that, we also shape the nails and shine them. This treatment does not include nail polishing. Nail polish with one color. Microblading is a brow technique, which enables the customer beautiful, personalized and natural brows. At Blue Lagoon salons, you shall be welcomed by specialists who are certified professionals of microblading. We use high-quality and safe Phi Brows and Swiss Color pigments that have been in the market for a long time. The consultation price 40 € will be compensated from the Microblading treatment price, provided that you come to take the treatment at our Blue Lagoon store within 6 months from the consultation. Book your time for consultation. The time should be booked to the same professional who will be doing your brows. Think of the questions before you come to the consultation. At the consultation, we will be going through the steps of the treatment, things you have in mind, the release of liability form and possible obstacles of the treatment as well as the model of the brows with the professionals technique which is individually based on the customers facial structure. You can only book the consultation however if you like to book the time right away for the actual treatment, you them must remember to book the consultation time at the latest 2 days before the implementation of the actual treatment. Why? We talk about “semi permanent” -work, so it is extremely important that the technique we use matches with the customers wishes. If you come to second thoughts, there will be time to cancel the times of the treatment before our 24 h billing policy. Notice! Consultation is obligatory. The consultation is also obligatory, if you want to retouch / repair your Microblading brows at our stores, that are done somewhere else. If for some good reason you are not able to come to the store for consultation, you can send us a good picture of your brows (without makeup) to the professional who you wish for. Send it to info@bluelagoon.fi When the professional receives the email, you will go through a phone consultation. The phone consultation will be payed to a invoice we send to you. ( 40€+2€ additional billing). The consultation price will be compensated from the Microblading treatment price, provided that you come for the treatment to our Blue Lagoon store within 6 months from the consultation. Microblading 1st time. The price includes consultation, the 1st Microblading treatment and Touch Up which is done 6-12 weeks from the first handling. The consultation before Microblading is obligatory! Remember to first book your time for consultation. With the Microblading technique, you are able to get spectacular brows for 10-11 months which are specifically designed just for you. The duration is individual and depends on maintenance, skin type and skin care. If you like to maintain the end result when the brows start to fade, book this Touch Up and preferably to the same professional. IMPORTANT NOTE! If you have not done the original brows at our stores, in this case also book the time for consultation (do this first) at the latest 2 days before the implementation of the Touch up follow-up treatment. The consultation (40€) will be compensated from the Touch-Up price. If you have any question, contact us at the store. www.bluelagoon.fi/ P. 0440 411 622. If you hardly have any Microblading brows left then contact the store so that the professionals can assess whether the brows need to be done again or is the 90 min Touch up treatment time enough. It is extremely important that the time does not run out.